Movies are an integral part of our society. They cause us to laugh, cheer, cry, and tremble. They take us to new locations and imaginary worlds. They expose us to new situations and make us think. They uplift us when we’re down and inspire us to new heights. They broaden our horizons and provide an escape. They impact our world in ways too numerous to count. We have our favorites. Movies we can watch over and over again. Films that have impacted our lives and taken us on a ride. Movies we will never forget as long as we live. 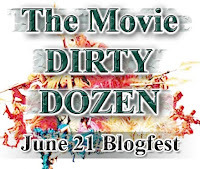 On Monday, June 21, I invite everyone to participate in The Movie Dirty Dozen blogfest! 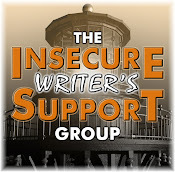 Sign up with Mr. Linky above and grab the button for your blog. What movies have changed your life? What movies have changed you as a person? What movies are your ultimate enjoyment from start to finish? If you could only round up twelve, what movies would be your Dirty Dozen? 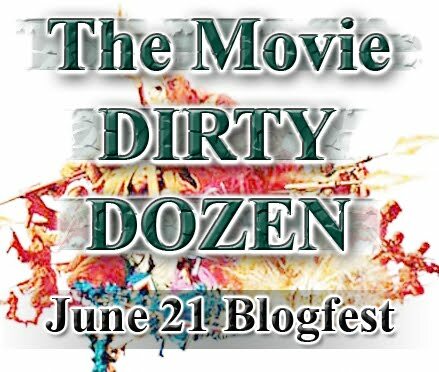 On June 21, post YOUR Movie Dirty Dozen! I'm not sure I know how to make this work but it sounds like an awesome idea! Thanks Alex. I've got your Prince of Persia review starred in my feedlist. I'm going to see it tomorrow so I'm wary of any outside influence :P I'll get on it as soon as I've seen it. Matthew, just sign up in the section above your name and then on June 17, post your twelve favorite movies! Good stuff, Jamie! I knew you'd be excited. Just expect a fun ride from Prince of Persia and you'll enjoy it. Movies certainly have a lasting effect. I would like to contribute because I so would love to tell stories of my favorite movies, but I may not be able to do 12 as a list, because it so depends on the "muse" of the day. If I made it, I'll certainly will come and let you know! I can't say any movies have changed my life, but some have been enlightening. "What the Bleep Do We Know" was a real LOA eye-opener, for one. People often ask me this same question, and always get a bit shocked when I don't start naming my top 100 right away. It's very difficult for me to make a list of my favourite movies, and since I prefer acting performances to movies, I wouldn't have more than ten favourite movies. Although living in this culture I've certainly seen a lot of movies, I don't really think of myself as a movie person. There are a dozen movies I could name that I like, but I don't know that they would have changed or strongly affected my life in any way. Perhaps ones that affected my writing is what should be on my list. There are those. Ocean Girl, I hope you can! Dez, it's like the album blogfest - those who sign up here just post their favorites on the 17th, and everyone participating will visit other blogs. Just pick whatever number you come up with! Charles, that would be good! 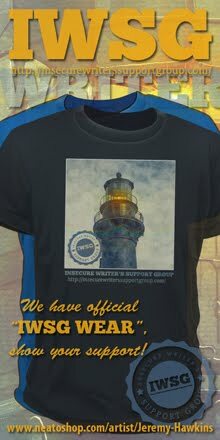 I've got the badge on my page and the Linky list at the top of my page. Don't forget to add your name to the list, Alex. I'm going to start thinking up my movies and get it down to 12. I'll plug the fest on my site also. I'm not good at these link things, but I am looking forward to reading other people's picks! I already know what my Top Ten favorite movies are, and although that list includes a few obscure titles, it also includes some movies that pretty much everyone has already seen (e.g., "It's A Wonderful Life"; "Dead Poets Society"; "One Flew Over The Cuckoo's Nest"; and the original "Rocky" from 1976). What I think I would much rather do, and what would make it more fun for me, is if rather than list my 12 all-time top favorite movies, I compiled a list of movies that I really enjoy - although not all of them would necessarily make it on a Top 12 list - and movies that are a bit more obscure and therefore not nearly so well known to the general public. In other words, I would like to "introduce" some people to some largely overlooked or forgotten films that I think many people would really enjoy if they simply knew about them. So, would you mind if I added this little twist to my list? I'll write up brief commentary about each of my 12 selections, stating why I'm recommending each movie, and then for those movies that would also happen to make it on to a genuine all-time personal Top Ten list, I'll note that fact as well. In a nutshell: My list of 12 movies might include 4 or 5 that are truly in my Top Ten, and the rest, while not quite rated that highly, are still movies that I really enjoy and which I believe would be more widely appreciated if only they were better known. Is it OK with you if I arrange my list of 12 in this way? Awesome plan there Alex! I shall begin the round up of my top 12 immediately. Keep it up! Don't know that I could come up with 12, but I will be back to see what others list. Thanks for pointing that out, Arlee! Stephen, it's your list. Go for it! It will be tough but I'll give it a go. yes, but I don't get where are we going to post those lists on the 17th? Ha! No guest author scheduled that day and this is a topic I can fit in pretty well in my busy month, so I'm IN! Great, Stephen! After all, it's YOUR Dirty Dozen. Karen, it's a great movie. Hope to have you join us. Dez, you post it on your blog. I'm sure your fans are curious what movies the great Hollywood Spy likes. Cheeseboy, I do expect some cheesy answers. I'm in!!! I love movies. Have I told you lately that I love...your blog template. It's so sci-fi? But I guess you knew that. I don't normally blog hop, but I love movies. I will think on it. One of my favorite movies is Fatal Attraction because it scared the heebie jeebies out of me. J. Woman, I selected it because it reminded me of the Matrix. And join in the fun! Love to see a list of your favorite movies. Jemi, I forbid your brain to turn to mush! Alex, which date are you going with --June 17 or 21? I thought it was the 21st, but in your header description and in your comments you keep saying the 17th?? ????? You may want to clarify. Thanks for catching that, Arlee - 21st! Sounds like great fun! I'll have a think about it, and if I have time I'll sign up a couple of days before :) Great idea!!! Hope you can join us, ladies! Sounds like a fun link up, I will seriously think about it! By the way I love the title The Dirty Dozen, my husband loves that movie! Shannon, please do! And your husband has good tastes. Glad to have you, Bud. What a great idea. I pretty much have this list in my head already. Quite a mixture of comedy, ciolence, hope, kids movies, and even one chick flick. Looking forward to it. Glad you can join us, Stephen! This will be my first blogfest. I'm getting it all ready. This is so awesome...I'm glad you are doing this and can't wait to take part in it! Thanks for taking the initiative Alex! I look forward to your dirty dozen next week! Southpaw and Trudy, so glad you can join us! RaShelle, it will be fun!